The Tiandi – Shidou and Ying: The youngest son of the great Emperor, Shidou was the most skilled fighter in his family, but sat fourth in line to the throne. Unwilling to settle for a life of servitude to his brothers, he killed each one of them in one dark, bloody night. Horrified by his own madness, Shidou fled the palace. Now, he prays for his own death in battle to atone for his sins. Unable to find worthy opponents in the Empire, he marches onward to the West in search of death. 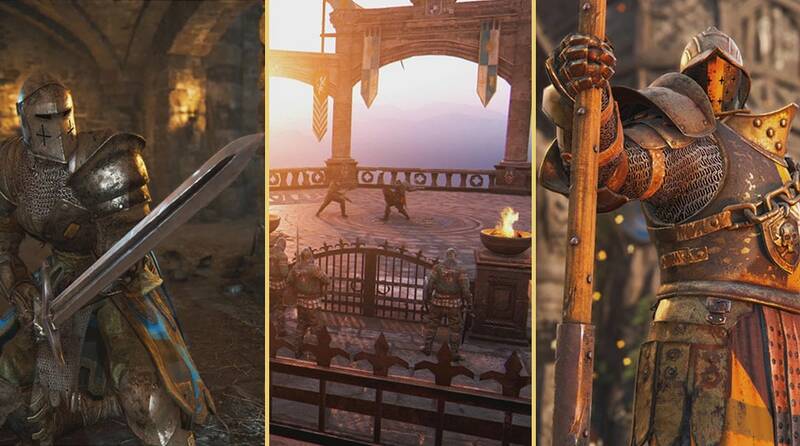 The vanguard class Tiandi wield large Chinese broadswords to chain combos and finishers together while remaining highly elusive and mobile. The Jiang Jun – Guan Yu: Guan Yu was a simple peasant who stumbled into conflict and got a taste for war. As he rose up through the ranks, he began to amass a small army. During a battle against an enemy force that greatly outnumbered his own, the general stepped down from his horse with only his guandao polearm. Wishing to spare the lives of many on the battlefield, he challenged the enemy’s best warrior. Instead of facing him, the enemy fired a lone arrow and pierced Guan Yu’s heart. He collapsed, but instead of dying, he rose up and ripped out the arrow. The enemy fled, afraid of the beast that rose from the dead, and a legend was born. Now in his twilight, Guan Yu has no army. Still hungry for combat, he marches for fresh foes in the West to savor the thrill of combat before his days are done. A heavy Hero, Guan Yu utilizes the formidable reclining moon blade. He fights using strong slashing movements and momentum to keep his heavy blade moving. The result is a hero with high survivability and a strong offensive attack that specializes in maneuvers meant to counter multiple foes at once. The Nuxia – Kaili: Kaili was a bodyguard trained as a dancer sworn to protect a powerful governor. When an army attacked the palace she protected, Kaili rallied nearby allies to help, but she was betrayed by those she trusted. After exercising her revenge on those who betrayed her, she shed her dancer’s robes and donned a warrior’s armor. With a bounty on her head, Kaili turned west, never to trust again, and hungry to engage every fight with a dancer’s grace and a killer’s precision. When used in dance, her hook swords were as beautiful as they were deadly. When used in battle, they allow her to isolate and control opponents, making her a formidable one-on-one fighter. As an assassin, she is at her best when utilizing fast counterattacks at short range, but with the ability to link her hook swords together, she can be deadly from long range as well. The Shaolin – Wei Chang: Once a warrior monk who chose peace during the reckless civil war, Wei was forced to fight when one army brought the conflict to his monastery. While Wei and his monks fought back, the monastery was overwhelmed, and Wei was forced to watch as all his fellow monks were put to death. He would have met the same fate if not for a timely earthquake, which allowed him to escape. Wei vowed to honor his good fortune. He tattooed the monastery’s lost prayers onto his skin and honed his formidable warrior skills. Now, he travels west to spread the word with his staff, fighting to honor his lost brothers. A mobile, counterattacking hybrid, Wei uses his versatile staff to quickly switch between offense and defense to take advantage of any situation. 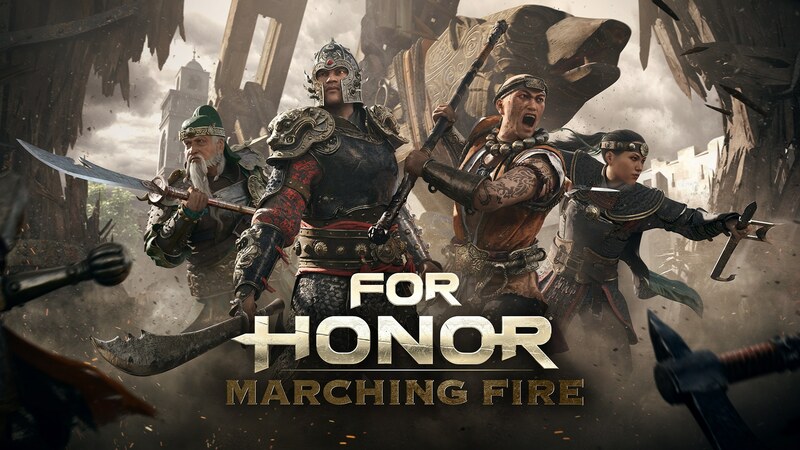 While the new heroes will be available to players who purchase March Fire for an early access period, all players will have access to a series of free improvements and updates when Marching Fire launches later this year.